There are 4,562 total EV chargers in Canada, according to the Canadian Automobile Association. OTTAWA -- Great Britain and France intend to bar outright the sale of any gasoline-powered vehicles by 2040 but even one of the biggest proponents of electric cars in Canada says that's likely an impossible goal for this country. France announced its policy in early July, followed by Britain this week, joining Norway and India as the only countries in the world with a plan to entirely phase out the sale of gasoline- or diesel-powered cars and trucks. The Pan-Canadian Framework on Clean Growth and Climate Change requires Canada to have a national strategy on zero-emission vehicles by 2018 and Canadian Transport Minister Marc Garneau has already signalled setting sales targets or quotas isn't on his agenda. Matt Stevens, CEO of FleetCarma, a Waterloo, Ont., based technology company aiming to help expedite the adoption of electric vehicles, said it might be good for Canada to aim towards a phase-out date for gasoline-powered vehicles but he said 2040 is likely too soon for Canada. Even though that's 23 years away, Canadians drive far more trucks and SUVs than the British do, and the electric vehicle market in bigger vehicles is not as advanced as for sedans. "One of the big challenges in our market is we buy a ton of pickup trucks and a ton of minivans and a ton of SUVs," said Stevens. More than half the vehicles sold in Canada are pickups, minivans and SUVs. There are several hybrid and electric SUV models on the market but the first electric minivan — a plug-in hybrid Chrysler Pacifica — just appeared on the market this year and there is no electric pickup truck yet. Stevens said targeting 2050 to see a phase-out of gasoline-powered vehicles might be more realistic but he also said the market is moving there quickly already. Mark Nantais, president of the Canadian Vehicle Manufacturers' Association, said the emissions standards Canada and the United States have jointly implemented are already pushing Canada towards gasoline-free cars. "The only way we can get [to the standards] is greater electrification," he said. In 2011, there were only seven electric vehicle models available in Canada, said Nantais. Now there are more than 30. More charging stations are also being added for public use every month, with investments from the private and public sector, including announcements just this month of a network of stations along highways in Ontario, Manitoba and New Brunswick. "A year ago there were five non-Tesla fast chargers in Ontario and now there's over 100," said Stevens. Michael Hatch, chief economist for the Canadian Auto Dealers Association, said the "heavy-handed" approach is not good for anyone but thus far he has no indication from the government that quotas or phase-outs are the way it intends to go. He said incentives to get less-efficient cars off the road, help reduce the costs associated with buying electric cars and installing more charging stations are all critical and far better policy to encourage the electric car market. 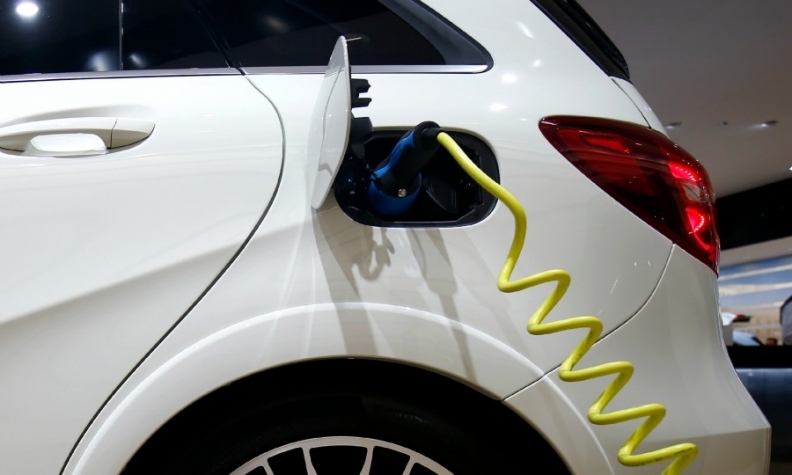 Quebec has introduced quotas for electric vehicle sales that will kick in next year, requiring auto dealers to sell a certain percentage of electric vehicles or buy credits to offset if they miss their targets. The Montreal Economic Institute this week issued a report that said the plan is little more than a new tax on car dealers that will drive up the cost of conventional cars, and have the greatest impact on the price of the cheapest, most efficient vehicles. Vincent Geloso, who peer reviewed the study, said even the Quebec environment department has acknowledged the quotas are going to be impossible to meet because the sales are just not there yet. Just over one per cent of cars sold in Quebec last year were electric, and the province has to increase sales to 3.5 per cent to meet the 2018 quotas. The quota rises to 22 per cent by 2025. In Canada last year about 0.6 per cent of all new cars sold were electric or electric hybrids. There are now about 32,000 electric vehicles on Canada's roads.